This southbound Norfolk & Western transfer run led by GP no. 4158 has received clearance to proceed through Pullman Junction on former Nickel Plate rails, clumping across the joint Chesapeake & Ohio/Belt Railway of Chicago and Chicago, Rock Island & Pacific tracks in turn. 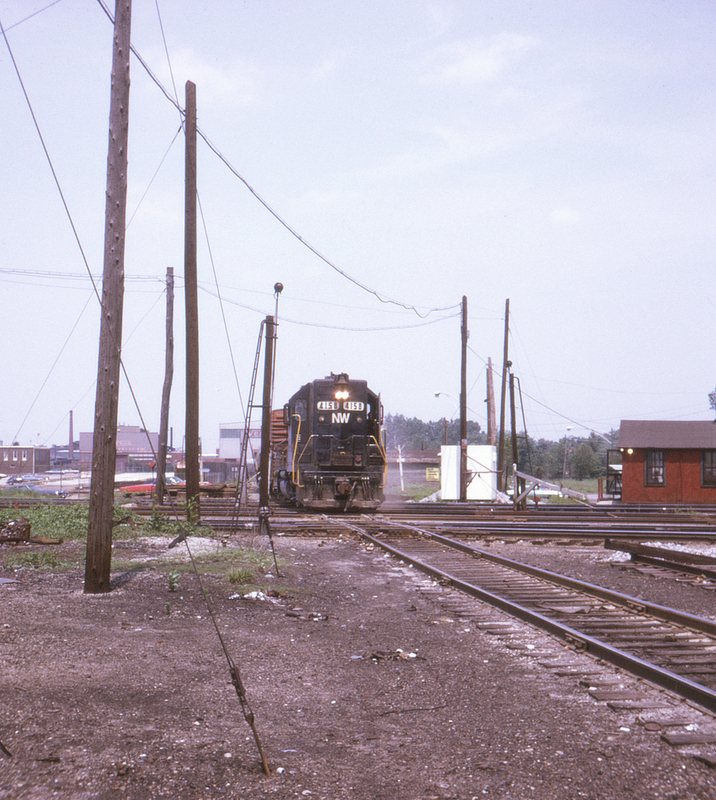 The Nickel Plate used to have a large yard north of here, after which it connected with the Illinois Central mainline into Chicago. At one point a large roundhouse stood between the junction and the brick shop building, still visible in the distance to the left of the Nickel Plate.